I’m wrapping up my series of posts on problem design. It was fun; sorting worthwhile problems by the Standards for Mathematical Practice has been enormously helpful in writing problems for my students every day. This idea was inspired in part by Ben Blum-Smith’s post on a language for problem design, but also from my frustration with conversations about the Common Core centering on “conceptual understanding” and “deeper learning” without defining what those terms meant. Conceptual understanding and deeper learning are certainly important however they are defined, but they’re defined differently by every math teacher who uses them. The Standards for Mathematical Practice give teachers a common language for the specific habits of mind and types of understanding students need to be proficient at mathematics. There are tons of great resources that have been built all over the MathTwitterBlogosphere around the Practice standards, but many of them focus on rich tasks, inquiry-based instruction, 3-acts, and similar materials that teach full lessons based on these practices. While I love many of these resources (see this page for what I use in my classroom, and here for even more references), I’m more interested in how smaller problems, things that take students 2-10 minutes to complete, can teach, reinforce, and assess the Practice standards. This was a part of my goal in developing this language for problem design, and it became more explicit as I found more and more ways to think about each of the Practices. To summarize my thinking, I’m categorizing both my taxonomy of problem design and a number of other resources available around the internet by specific Standard for Mathematical Practice, with the idea that this can serve as a guide to thinking about the different types of understanding students need in order to be proficient mathematicians. MP.5 – Use appropriate tools strategically: I have no answers for this one. This entry was posted in Problem Design on May 5, 2014 by dkane47. Withholding comes from my struggle with figuring out how to teach mathematical modeling. There are an enormous number of resources out there for modeling lessons (see here, here, here, and here for a ton of examples), but what I’ve struggled with more specifically is teaching the skills that allow students to be successful in modeling. I don’t have any good solutions for this, but one piece that I think is critical, not only for mathematical modeling (MP.4), but also for reasoning abstractly and quantitatively (MP.2) and algebraic thinking in general. Withholding is taking a problem, then asking what information is needed to solve it. Withholding is absolutely useful at a basic level–like giving students one side of a rectangle and asking what they need to know in order to find the area, or which angles are needed to identify the third angle in a triangle. However. it has much more value as a problem solving question asking students to analyze a number of possibilities and determine the easiest route to a solution. 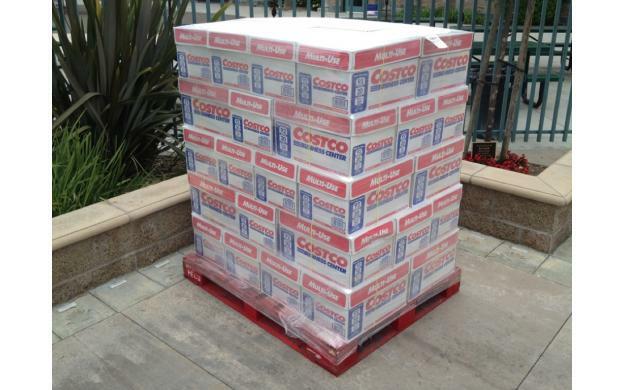 What would you need to know to know in order to find out how much printer paper is on the shipping crate? 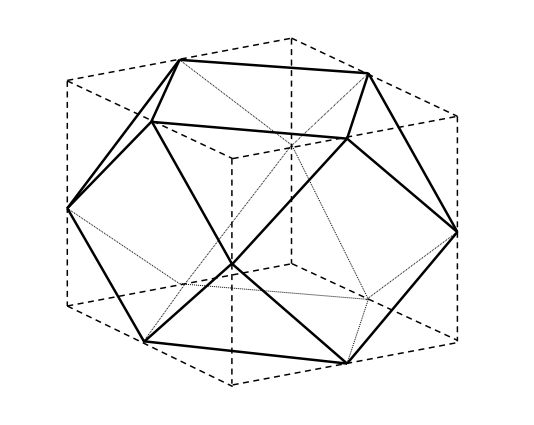 What do you need to know in order to determine if the polygon below is a square? A function goes through the points (2, 5) and (3, 7). What do you need to know to determine the y-coordinate where x = 4? 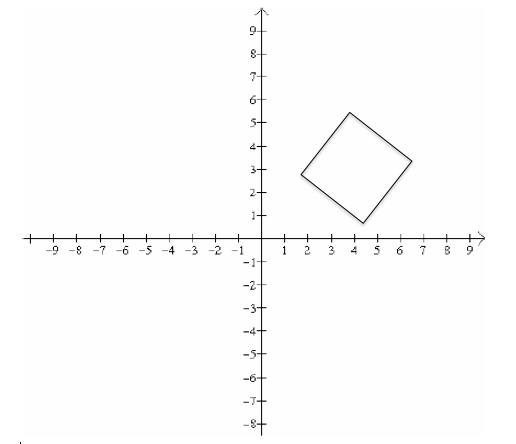 Which dimensions are needed to find the area of the figure? Withholding is a pretty simple idea that is mathematically rich when it is applied to an open middle problem. Being able to identify necessary information, in particular in divergent problem-solving situations, is a critical skill in modeling with mathematics. However, I’m much more pessimistic on the value of withholding relative to other problem types I’ve talked about. Mathematical modeling is a complex skill that requires sustained attention and practice, and withholding is only one very small piece of that. This entry was posted in Problem Design on May 4, 2014 by dkane47. 1. Students need to understand math conceptually. They need to make sense of problems, be able to explain why the processes and procedures they use are correct, solve problems in and out of context and apply concepts in novel situations. 2. Successful inquiry-based instruction (coupled with appropriate practice) leads to greater conceptual understanding and a productive mindset around mathematics. 3. Inquiry-based instruction often fails for many students due to insufficient background knowledge, imperfect facilitation, or a lack of a desire to learn the material. I believe in direct instruction. I believe that, under certain conditions, telling students . There’s a reason teachers don’t pretend in any other discipline that all necessary knowledge can be discovered if only we structure an ideal inquiry environment and inspire students to want to learn. This is not to say that direct instruction is ideal for every lesson, or every moment of any lesson, and in particular I’m pretty put off by teaching that looks like this, but I don’t shy away from telling my students key information when I feel they are engaged, the material is appropriately motivated, and they will have a chance to apply it independently and in novel contexts right away. The classroom I believe in (and my classroom is moving in that direction, but is far from there) is one where students are inspired to answer mathematical questions every day through perplexing tasks (whether or not they come from the real world), and then find them the tools they need to answer those questions. This often means motivating a new topic through a rigorous task, leading to direct instruction on the topic, some combination of guided practice, partner work, and whole-class problem solving/analysis, and independent practice for students to stamp their understanding. It also often means using inquiry to allow students to talk about math, explore new topics, and construct their own understanding. One is not inherently more valuable than the other. Either way, I believe that the most valuable mathematics comes from students wanting to answer problems that require them to make sense of both mathematics and the world around them, and to pause and think about the mathematical concepts that they are applying. 1. Great problems give students reason to pause, be thoughtful about mathematics, and consider their solution path. 2. Great problems provoke solution paths that are divergent and different from conventional procedures applied to the concept. These are imperfect, but the more I write about problem design the more I see these two ideas at the center of problems that promote high-quality mathematical thinking. This entry was posted in Problem Design on April 25, 2014 by dkane47. Baiting is giving students an opportunity to notice a pattern in similar problems or repeated problems and apply it to infer a rule or shortcut. Baiting is what great teachers do in inquiry-based instruction, allowing students to construct their own mathematical understanding of a topic through patterns, sustained reasoning, and careful definition. However, baiting can also be applied to MP.8: Look for and express regularity in repeated reasoning in more innocent contexts. Baiting is valuable in constructing student understanding of a topic, but inquiry risks wasting valuable instructional time if the lesson is not successful, and facilitating successful inquiry is challenging. Baiting can be used in applying a concept to explore its mathematical structure and reason to deepen understanding, rather than to create it. How many triangles are in step 1? How many triangles are in step 2? How many triangles are in step 3? How many triangles are in step 4? How many triangles are in step 10? I’m giving a new name to an old idea, but I think the twist is the value in baiting a concept after it’s been taught. Inquiry is intimidating for teachers not experienced with it, but students believing in the power of their reasoning is critical and possible no matter what style their teacher chooses. Every classroom can focus on giving students opportunities to reason about mathematics and draw inferences about quantitative relationships, and build their capacity to see mathematics as a logical system of rules and relationships that are connected and full of meaning, rather than procedures to be memorized, applied, then forgotten. Reversing is the act of taking a problem and reversing a given and an unknown. It’s simple, but critical in building intuition and intellectual need for algebraic structure. One trap I’ve fallen into is teaching opposite directions of the same concept on separate days. While that can lead to superficial, short term success, it doesn’t promote understanding. Instead, introducing the Pythagorean Theorem and having kids solve for both the hypotenuse and the side the same day promotes productive struggle and more flexible understanding. For me, reversing falls under MP.2: Reason abstractly and quantitiatively. It’s critical in building students’ connection between arithmetic problems and the value and power students gain in using variables and algebraic structure to give math meaning. I think the biggest pitfall to building abstract reasoning through reversing is dividing these objectives into separate parts. It’s tempting for teachers to try to isolate skills. One day, teach finding the area of a rectangle, have kids practice a bunch, they do well with it. The next day, have kids find the missing side length of a rectangle, have kids practice a bunch, they do well with it. It’s gratifying as a teacher for lessons to go well, but the conceptual understanding is quickly revealed as illusory, and students struggle to think flexibly about the big idea — the multiplicative structure of a rectangle. While students will struggle with questions reversing a concept, their struggle is a struggle with rigorous, broadly applicable algebraic concepts. Cutting out those concepts reduces math to a set of discrete series of steps that must be memorized and consist largely of arithmetic, which is the opposite of MP.2. 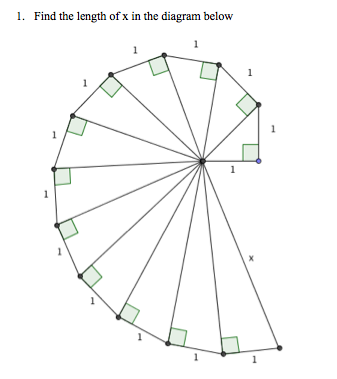 This entry was posted in Problem Design on April 15, 2014 by dkane47. from MP.2. Anyway, after manipulating away with my taxonomy of problem design, I want to pause to think about the context of where I began and where I’m going. Each of these types of problems is meant to teach the mathematical practices. 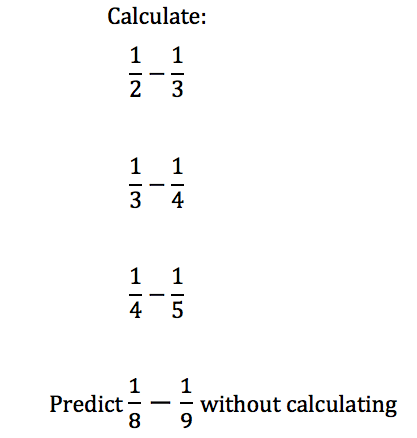 The final two problem types, non-examples and jamming, could fit in a number of the mathematical practice standards. However, I would categorize them differently, as problem types more useful in formative assessment than in learning. I don’t love drawing a distinction between the two because I want them to be one and the same, but in everyday practice I think that distinction is valuable. Jamming and non-examples give extremely valuable information to the teacher, and less value in learning to the student. One-way problems, low-floor problems and splitting give less information to the teacher. Disguised problems are somewhere in between, and I think any problem that address Attend to Precision will do that, but I think disguising a concept is one of the most rigorous and valuable ways to teach students to engage in MP.6. 3 practices down, and a ton of room to grow . I have some ideas for MP.2, MP.7 and MP.8. I’ll leave MP.4 to the 3-act experts, although I’m working on a one-pager with my principal that I might share along those lines. Writing a problem for MP.5 (Use appropriate tools strategically) is a mystery to me, beyond the basics of using tools in the math classroom. Definitely an area of growth for my practice. I’m really enjoying writing this series on problem design. It’s been really valuable for me in articulating and sharpening many of the half-formed ideas I have as I plan lessons. I have a half-dozen more ideas in the pipeline for problem design, and I’d love to think more about how they fit with the standards for mathematical practice and formative assessment as i write about them. In particular categorizing problem types, and thinking about how these categorizations are useful or not useful, has been a particularly valuable piece of thinking for me. After that…I’m not sure what’s next after problem types. Engagement strategies, types of context, or tackling that monster of modeling with mathematics. We’ll see. This entry was posted in Problem Design on April 4, 2014 by dkane47. So there’s the idea. But I want to go deeper into what a low floor problem does for learning, in particular in the context of MP.1: Make sense of problems and persevere in solving them, as well as for lower-skilled math students. One of the challenges in teaching students who struggle with math to persevere in problem solving is the extremely short, negative feedback loop they often experience. Teacher presents challenging problem. Student doesn’t have a clear path to the solution. Teacher prompts student to think about it and apply what they know. Student gets nowhere. Other students solve it, student tries to listen to the answer, and internalizes their own powerlessness in the math classroom. While a low floor is critical for a successful modeling task, low floor problems can also be valuable tools in teaching students their own power as problem solvers as stand-alone questions. Find a square that ends with 444. Find another that ends with 4444. Plot all of the points on the coordinate plane whose x- and y-coordinates add up to 7. 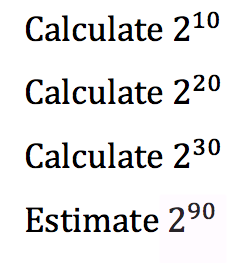 What is the equation for these points? 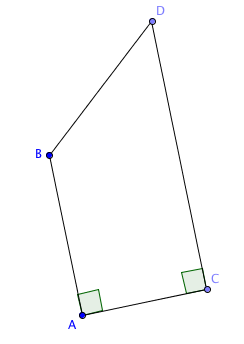 This question from Five Triangles shows a cube on which adjacent midpoints have been connected by line segments, and the corners cut off along those line segments. However, unload some of that literacy load, and ask students how many edges there are in the polyhedron. See what they come up with. If a > 0, b < 0, label each of the following as always, sometimes, or never true. Fill in the blank to make the addition true. The 5 key on your calculator is broken. How can you add 458 + 548 + 345 without using the 5 key? All of these questions have a few things in common. First, they have an easy first step. They offer potential for exploration in several directions. Answers are possible both through guess and check, logic, or application of a mathematical concept. Finally, all of these questions, and many rigorous low floor questions, have an algebraic component. Each problem has underlying algebraic structure that allows further insight and provides opportunities for rigorous extension. More than that, an intuition for the meaning of an unknown, and the power that unknowns can give mathematicians, is a central bridge between elementary and high school mathematics, and many of these questions effectively scaffold that understanding. This entry was posted in Problem Design on April 3, 2014 by dkane47.